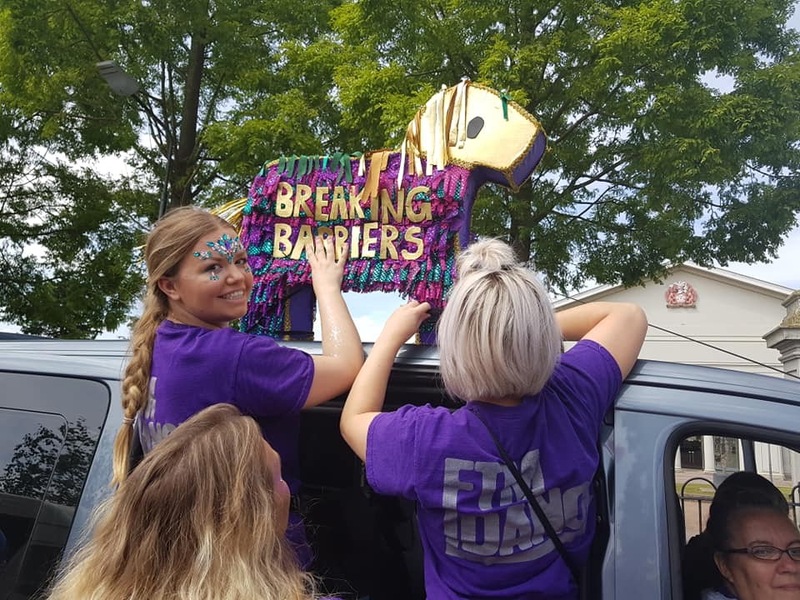 FTM Dance are a Performing Arts respite service for children and adults with additional needs, disabilities and medical conditions, aged 3 years old and above. 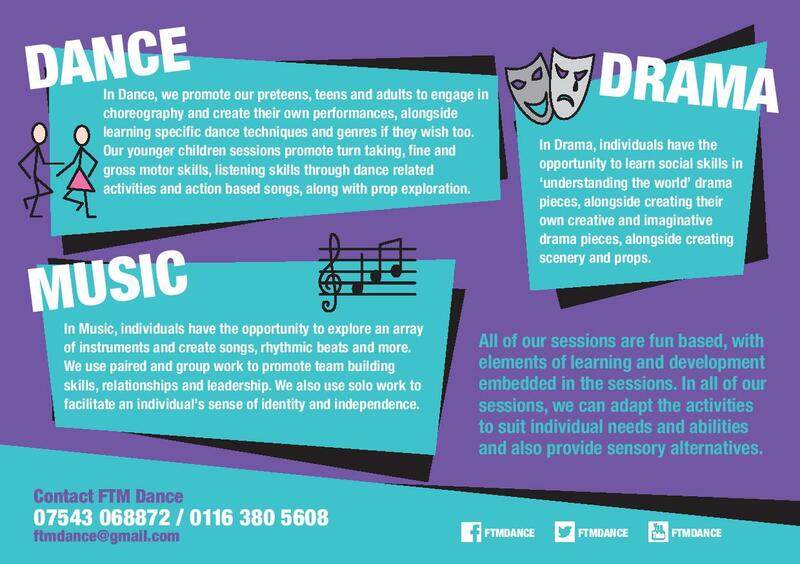 FTM Dance provides performing arts and creative art related activities, sessions and workshops for individuals with a range of needs and abilities, including those with Autism, ADHD, Cerebral Palsy, Epilepsy and Behaviours that challenge. We have services in Leicester, Loughborough and Melton Mowbray.